This prediction has been made on the evening before the November 26th 2011 election in New Zealand. My estimates, while I have given them careful consideration, it must be noted are very different from all the conventional polling published in the main stream media. To summarise main stream media polling, namely, 3News Reid Research, TVNZ Colmar Brunton, Roy Morgan, Fairfax Media, Herald Digipoll, they when looked at together can be summarised as suggesting the following result: National 51% and trending down (enough to govern without a coalition partner), Labour 26% and trending down, Greens 13% trending up, NZ First 4.4% trending up (no seats as below the 5% party vote threshold and not winning a constituency), Maori 1.5% (4 constituency seats), Mana 1% trending up (1 constituency, 1 list seat), ACT 1.5% (although polling clearly shows ACT will loose Epsom and hence is required to reach 5% to get proportional representation, Main Stream media while reporting it is close seem to suggest in all their musings of coalition partners that ACT will be back with 2 seats), this is also the case for United Future, they also are required to win a constituency seat, while polling around 0.5% and trending down, the media assume United will be in on the back of that seat win. Then there is the new Conservative Party 2% trending up, failing to win a constituency, no seats. Hence conventional polling is suggesting on the right wing we have (approximate number of seats out of 122 in brackets) National 51% (66 seats, majority government), although in support ACT 1.5% (2 seats), Maori 1.5% (4 seats), United 0.5% but winning a consistency (1 seat). In total 73 seats for government supporting parties (60% of seats). A commanding lead. On the left there is the Labour Party on 26% (33 seats), Greens 13% (17 seats) and Mana 1.5% (2 seats). A total of 52 seats for the opposition. As you can see there is a relatively large overhang of 5 seats, if we had the party vote alone, the NZ parliament would only have 120 members. List seats are created given the vagaries of independents and small parties winning constituency seats but only winning a very small percentage of the party vote. Hence, proportionality of parliament from the party vote requires more seats in parliament to be added. Yes, people have two votes in New Zealand, a vote for their geographical constituency representative, for the person (nearly always a member of a large political party) and also a party vote, for the party they most want to form the government. It is this last vote, the party vote that is most important for forming a government, because it is this party vote that determines the percentage of MPs a party has in parliament. Simply put, if the Greens get 10% of the party vote, they get 10% of the Members of Parliament. Now, to get to the point of this article. What do I think will be the result tomorrow. National I believe has been hurt much more than many people think by the police raids on media outlets instigated by a the Prime Minister to suppress information that I believe (but many don’t) was from a public conversation, in addition, their plan to sell strategic government assets to get a quick fix of cash, is also very unpopular. Labour has hammered the asset sale issue home, and NZ First has really driven the secret taping issue well and to their advantage. Hence, National 42% (55 seats). Maori Party 1.5% (4 constituency seats). ACT party loose their only constituency seat and hence must get over 5% to get their share of the vote in parliament, at only 1.5% party vote, they don’t, 0 seats. This is also the same for United, they loose their only seat, 0.5% party vote, 0 seats. New Zealand First will shock most people by getting at least 5% (7 seats). I see a Wild Card in the Conservatives, I predict to the surprise of many they will get 4% and will almost win the Rodney constituency, however, they don’t and with less than 5%, they get 0 seats, although they just might pop over 5% with many disenchanted National supporters wanting to send both a message and also a natural coalition partner to the Government, we will see. Labour, while having run a satisfactory campaign, they really have the weight of an appalling performance in opposition over the last 3 years to shrug off, they don’t, a record poor performance for them 26% (34 seats), expect to see Phil Goff their leader to be challenged within weeks. The star performer has probably been the Greens, however, it was more the poor performance of the others that they capitalised on, however, luck favors the prepared, and they were, 15% (20 seats), Mana Party hasn’t really had time to build an organisation being only 6 months old, however knowing the people involved expect it to either grow into a force or sink with internal arguments and infighting, 1.5% (2 seats). In summary, the right wing, National 42% (55 seats) Maori 1.5% (4 seats). Total 59 seats. The cross benches is NZ First with 5% (7 seats) they have said they will not go into government with anyone, although they have led people to think they would do one thing, and then do the complete opposite in the past. Apparently they will support legislation on a case by case basis. I’m unsure who they will support on confidence and supply. In the past they have been part of both Labour and National led governments. The left wing, Labour 26% (34 seats), Greens 15% (20 seats), Mana 1.5% (2 seats). Total 56 seats. For a party to win confidence and supply they need 62 seats in this scenario. Neither block has this. This is a true hung parliament. I’d imagine, the government being in power already will be a caretaker government until either NZ First can be won over, and this has taken months in the past, or maybe the Greens support the National led government. Even if the Maori Party join the left, their heartland actually, this only gives the left grouping 60 seats, and NZ First/National 62 seats. Hence, the Maori Party and particularly NZ First are the king pins in my scenario for tomorrow. As you can see this is a very very different prediction than what other commentators have suggested. I must say I’ve been influenced to some degree by the very poor performance last year by these conventional polls prediction of the Auckland Mayoralty, they got it very very wrong. The new and not well reported by conventional media Horizon Polling methodology was more accurate in the Auckland Mayoralty, and has subsequently indicated National will do far worse than conventional reporting, in addition I’d like to give credit to a fellow blogger Martyn Bomber Bradbury and his analysis of the upcoming election. Now, we can only wait. Read the prologue below. Police raid the New Zealand Herald newspaper to confiscate tapes and documents related to the conversation between the Prime Minister and the ex Police Minister 4 days before the New Zealand general election. Source The New Zealand Herald. Police raids are continuing today on many news organisations, including, the private TV3 News channel, the state broadcaster TV New Zealand and the New Zealand Herald (New Zealand’s largest newspaper) to confiscate tape recordings, documentation and the like relating to a conversation between New Zealand’s Prime Minister and a previous Police Minister and candidate in the up coming election. This followed Justice Winkelmann’s decision not to decide, or in the words of the court, “The plaintiff’s application [Mr Ambrose who taped the conversation]… is declined”. The Application was for the court to decide if the conversation was public or private. To their credit the police waited until the court hearing was finished. 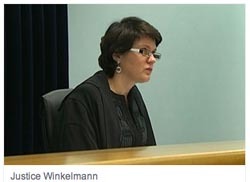 Justice Winkelmann giving her decision, or lack of decision, in the case Ambrose v Attorney General of New Zealand. 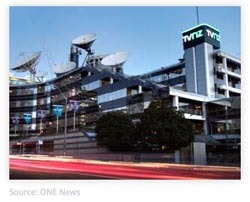 The offices of Television New Zealand and 3News were also raided. 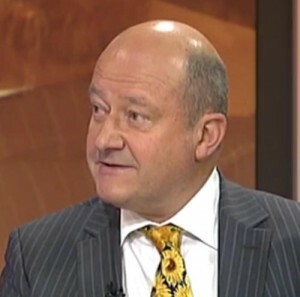 Justice Winkelman was asked by Mr Ambrose, the camera operator who obtained (it is alleged illegally) a tape recording of the conversation between Mr Key and Mr Banks to make a decision indicating that the conversion was public. If it was a public conversation then the media has no barriers to printing and broadcasting the conversation to the public. However, Justice Winklemann has decided not to decide. She essentially said that she doesn’t have enough information or time. She also indicated that she thinks that because the police are already investigating (raiding and confiscating I would argue) the matter, she thinks that this should be allowed to play out, and that in due course the police can decide to prosecute or not, and that at this future time the court can make a decision on the matter. Firstly, I would argue that she should have made a decision, she should know that case law, albeit from other countries, especially from the United States would indicate that it wasn’t a private conversation, and secondly, even if it was private, in the interests of public interest, democracy and freedom of speech, the media in this case, would be able to publish anyway (more on this point and case law later). Mr Tim Pankhurst from the Media Freedom Committee speaks on TVNZ this morning. 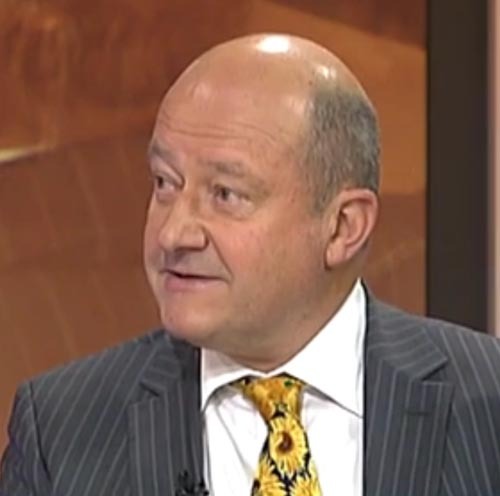 Mr Tim Pankhurst of the Meida Freedom Committee said on TVNZ this morning that the police have been put in a very difficult position, and that essentially because they’ve been asked by the Prime Minister to act, and that the court has decided to pass the decision back to them, they had to raid the once free press of New Zealand. However, Mr Pankhurst was obviously shocked, worried and concerned this was happening just prior to a general election. Now the New Zealand media are in a very difficult position. I am unsure if any tapes of the conversation are still in private hands, or if the police have managed to confiscate them all. However, in this digital age, I would expect there is at least one somewhere. Hence, should the media release this information and what will happen to those subsequently prosecuted. New Zealand is a small country, and the variety of such cases are thin and far between. However, the United States of America have had a large number of cases such as this and many of them have found their way to the Supreme Court who have, unlike the New Zealand court, decided to hear the case and make a decision. This is because such issues are very important, are at the heart of a democracy, that often sees conflicts between the public right to know, privacy, freedom of speech, censorship, elections and such like. It was a sad day yesterday that our court decided not to make a decision, which in effect was an indication to the police to raid, confiscate, trample on freedom of speech and aid censorship just prior to an election to decide the next government of New Zealand. Looking at the photograph below, does this look like a private conversation? What was the judge thinking? The current Prime Minister John Key, up for election, speaking to a fellow candidate of a competing party about potential coalition and doing deals to assist each other in the Urban Cafe Auckland. Turning now to various decisions of the Supreme Court of the United States. Nixon v General Services Administration 433 US 425 (1977) in a majority decision (7-2) found that the President’s private tape recordings of conversations in the White House must be turned over to be reviewed. In addition, the Supreme Court decided, that even when a tape has been made illegally, that in some circumstances, media defendants could not be liable for damages for publishing and broadcasting information. The Supreme Court decided, that the First Amendment principles of freedom of speech trumped privacy concerns (Bartnicki v Vopper), finding, “a profound national commitment to the principle that debate on public issues should be uninhibited, robust and wide-open”. These are just two of many such cases. Hence, what will happen now. What will the media do? For those that don’t know or are overseas I’ll start with a little background detail. In the upcoming election for the government of New Zealand the National Party (the current party in power) is sitting on about 50% support and with proportional representation that we have here this will be more than enough for them to govern alone without a coalition partner, the first government to do so since electoral reform decades ago. However, things can change in a week, the time to election day from when I’m writing this. Hence, National would like to secure a natural coalition parter. Over the last 3 years they’ve had to rely on the ACT Party (right wing, grew out of the economic liberalism movement of the 80s, but has long since lost it’s way, more of a right wing conservative type, religious intolerance variety and hence only now polling about 1 – 2%), United Party (really just a one man band of has-been deselected Labour and National MPs who had no where to go), and the Maori Party (a surprise coalition party, not a bad bunch who I respect a great deal). To get MPs into parliament they have to either win a constituency outright, or they are carried into parliament on the party list (this is governed by the party vote, we have two votes in NZ, one for your local MP and one for your party of choice, it is this second vote that is most powerful because it governs the proportionality of parliament). Also, it has been determined, for a party to carry MPs into parliament on the list vote, the party must get over 5%. This sort of keeps all the 1% crazy parties out, although this is a matter of opinion, but anyway, that’s the law as it stands… UNLESS, and this is the interesting point and what has caused such public (although that is debateable) and certainly media attention, a party wins a constituency seat, the threshold is removed, hence a party winning only 2% but no constituency seat gets no MPs, effectively the votes are wasted and get divided up amongst the other parties (in proportion to their support). However, if you win a seat, and get 2% you go to parliament and you carry in another 1 or 2 MPs. So the National Party has decided that it needs ACT in parliament as it has chosen them as their natural coalition partner. However, they only have about 2% support, so they must win a constituency seat. ACT did have a constituency seat because they had a very popular local candidate who was able to win a seat, but in a fit of madness the party dumped him. The new person, a man called John Banks, is standing in the same seat thinking that the people will now just vote for him. The National Party in the past, it must be said, did give the nod to its own people within the seat, Epsom in Auckland, to give their constituency seat vote to ACT last time to Rodney Hide (the dumped leader) and give their all important list vote to National. Although he did receive nearly 60% support, a great result no matter who is nodding at who. In essence because of the vagaries of the 5% threshold in conjunction with the removal of the threshold by winning a seat, the voters of Epsom are very powerful and can get lots of MPs by strategic voting. However, I’m about to describe next something that the people of Epsom, and also many in NZ find distasteful. As a result the current candidate for the ACT party who replaced the ousted leader, is only polling 29% even with the nod. Anyway, and to get to the point. Hence the people of Epsom, this is the National supporters, a nod from their leader to split their vote because naturally they would give both ticks to National. Hence, about 1 week ago, National feeling a little at risk, I don’t know why, and certainly I don’t know why they would ever ever choose the current ACT party to go to bed with, but anyway, the decision was made to give the nod, and to publicly show this, John Key, National Leader and current Prime Minister of our government decided to have cup of tea in a very public place, all the media turned up, just as they wanted to show the people of Epsom what to do. List vote National, constituency vote John Banks the ACT candidate. The media were then asked to step outside, although they could keep filming from the outside through the window. However, one journalist left a tape recorder on the table in a bag and taped the conversation. I understand the journalist, a Mr Ambrose, has said he did this by accident. A number of copies of the tape have been made and are in the hands of various media outlets who have not yet released it. Although there are rumors circulating that it contains some controversial material of public interest about the views of the Members of Parliament about a coalition deal, leaders of various parties and supporters of various parties, but until the tape is released the public does not know. Now that is the end of the background. A few days ago I posted on facebook a rant about my view on it. I certainly see both sides of the argument, with John Banks and John Key saying it was a private conversation, that they have a right to privacy and that it is illegal to tape people without them knowing about it, and if this is done by accident then the people that are taped need to consent to its release (surprisingly in New Zealand, as far as I understand) only one person needs to consent. Anyway, they don’t consent. The Prime Minister has ordered the police to raid the media establishments to obtain the tapes. The media has taken itself to court (yes an interesting move) to ask the Courts to rule on this case, was this a public or private conversation and are they allowed to release the tapes in the public interest, especially that there is an election in one weeks time. 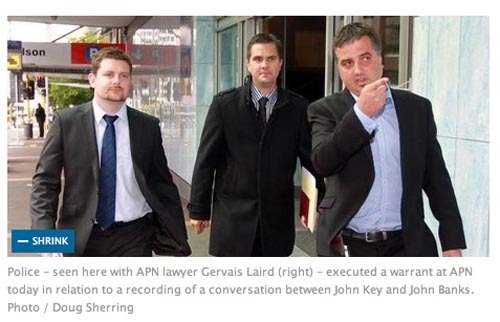 John Banks and John Key are trying to play down the incident, that it is a “storm in a tea cup”. In my view it couldn’t be further away from this. It is dealing with some very very serious matters, and the matter of privacy of the individual certainly is a very valid point, very, I can’t over state this, the PM is arguing from a very strong position. However, on the other side of it is public interest, access by the public to official information, the ability of the press to investigate (and yes sometimes this can be a bit dubious eg. wikileaks, wistleblowers, and possibly the best example the Nixon Tapes/Watergate/FBI whistleblower). My view, the Prime Minister is a public official, paid by me (tax), engaged in conversation with a person who has been a public official (ex mayor of our largest city, ex government minister of police) and is seeking to be a member of parliament. They were engaged in a media stunt to indicate to the people of an electorate how they should vote by having this conversation in a very public place, surrounded by cameras, albeit through a window. So a employee of mine (a public servant), paid by me (tax) discussing my business (the government of New Zealand, government officials, voters etc). I’m afraid it is my opinion that in this case it isn’t private, the tape should be made public. However, in cases like this because they are certainly not black and white, very very grey, and in a democracy with the rule of law, the best place to decide the matter is in the Court. So this Tuesday, 22nd of November 2011, the Prime Minister has his day in court and so does the media. In a free society this is the best place for it. I just wonder if the police have realised this, or if they are kicking in the doors of private individuals as you read this to get the tapes and have them erased. I hope they can at least wait until Tuesday. But then again, it is the Prime Minister and the ex Minister of Police. I hope our democracy isn’t going down the wrong road. Watch this space and I’ll report on the developments. The most important thing to do in St Petersburg, and arguably Russia is a lengthy visit to The Hermitage. The winter palace of the Tsars (Czars) of Russia up until the Communist revolution of 1917. 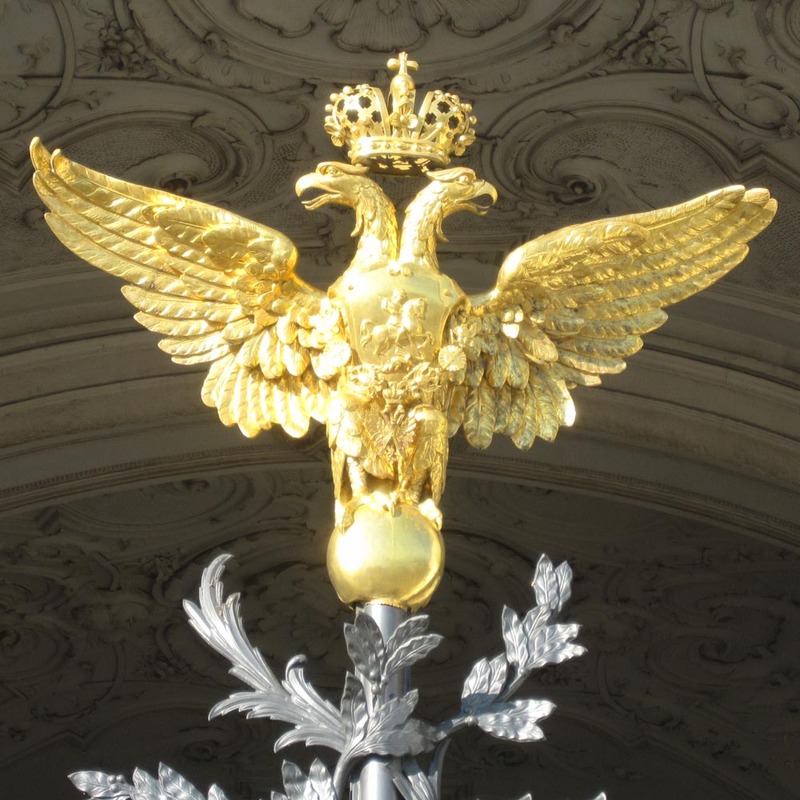 The Romanov Eagle of the Russian Empire now back again as part of the Russian coat of arms now that the hammer and sickle are gone. It houses a mammoth, 10s of thousands of fine art, pottery, sculptures, and the building itself is truely amazing. Now, if you are used to my reviews, you’ll know that they are not sycophantic. So just to show some balance it is also truely Russian. It is very different than say Versailles or Louvre in Paris, these are understated and elegant compared to the Winter Palace (aka the Hermitage), if ever a building had bling this one does, it literally shouts, look at me, look at me, I’m rich, I’m big, I’m Russian, look at me, look at me, full of gold plate. This is true of all the palaces actually. 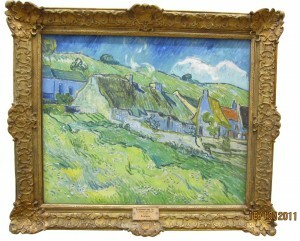 One of the many beautiful pictures from Vincent Van Gogh in the Hermitage. There isn’t just one Monet, one Picasso, one Rembrandt, but there are rooms and rooms of paintings from the world’s greatest artists. There are actually 3 million exhibits!! yep, it’s big. I would certainly recommend getting an electronic audio guide that you can hire, a map, and read up and have some clues about what does it for you, there is just too much to see. 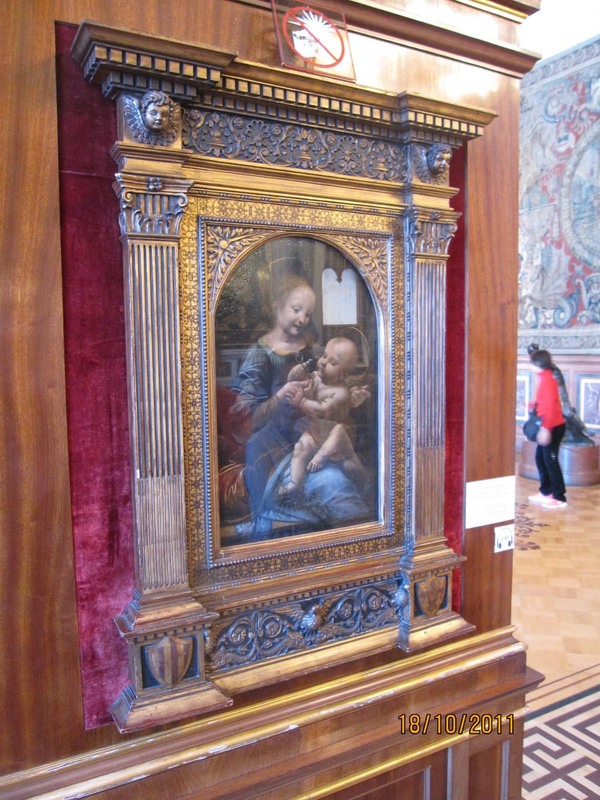 Leonard De Vinci Baby Jesus and Madona Hermitage Museum of Art just one of the many pieces of art. Next time I might search the net to see if I can organise an actual guide who can take me around. 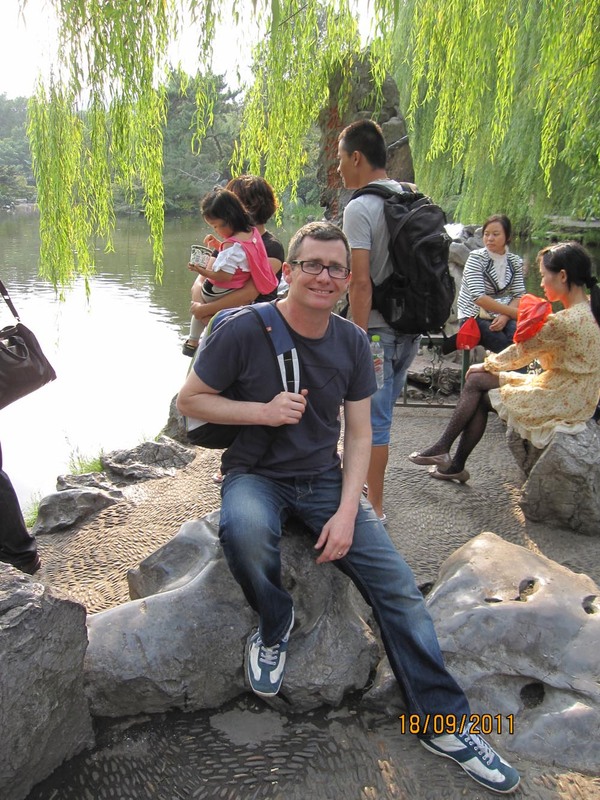 Such guides have been very useful in China, I don’t see why I shouldn’t hire one here…. In fact I might just do a search now… yep there are plenty and $150 – $300 USD should do the trick for one day. Also, my advice about going to Russia, take a long long deep breath, relax, take another deep breath and get ready for a truly different experience. The service you’ll get at the hermitage is pretty good for Russia. 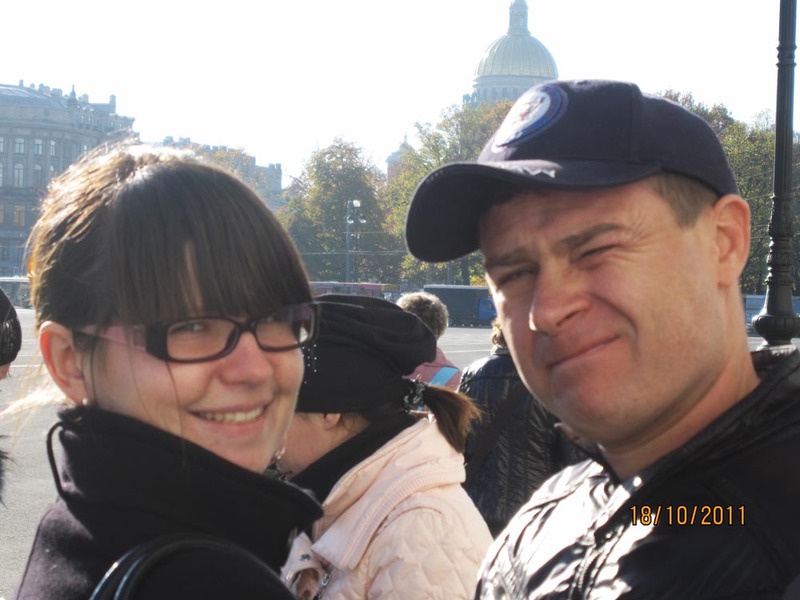 The museum is relatively inexpensive, although some of the greatest museums in The West as westerners will know are free to our citizens, and actually the citizens of Russia who visit. For example the British Museum, one of the greatest, free. The Hermitage is about 450rbl, about $20, if you are not Russian, if you are Russian it is about $5. I wonder what Russians would say if they came to the United States, the UK, or in fact New Zealand and we said, “oh you’re from Russia, that’ll be 4x more for you, oh and less service too” like I said, get used to it. Get used to being barked at by people, people not smiling, people not helping etc etc. It is a hard arse place, but hay I love it and I love many of the people (note the emphasis on many). But when you do make friends in Russia they are the best friends you’ll ever make for all the best reasons. Sveta and Vania in St Petersburg. I meet Sveta two years ago in Vladivostok, and Vania for the first time when I visited St Petersburg in mid winter a year ago. Both came to Zina and my wedding in NZ. Zina is of course Russian. Click to enlarge. Also one thing you notice about Russia (and most places outside the nanny state of New Zealand) is that it sometimes isn’t PC. If you hurt yourself, well you’re probably stupid and you’ll learn. This is also shown in how they respect the person and they’re ability to appreciate the art, meaning you can get close to the art, so you can get within centimeters of the beauty. Sometimes the places are crowded with people and sometimes they are pleasantly absent of life. For instance, I sometimes found myself in front of the “greatest” works (subjective of course) all on my own for a minute of two just to marvel, that compares with the crazed numbers in front of the Mona Lisa in the Louvre, plus it is behind a very thick amount of glass and you can only get within about 3 – 5 meters. Most of the works in the Hermitage are just you and them, no glass, just a bit of rope and a lazar beam to hold you maybe 30cm away. But don’t get too close or they’ll go off and you’ll have to deal with the Barbushkas who’ll come running, and you don’t want to deal with them, trust me. 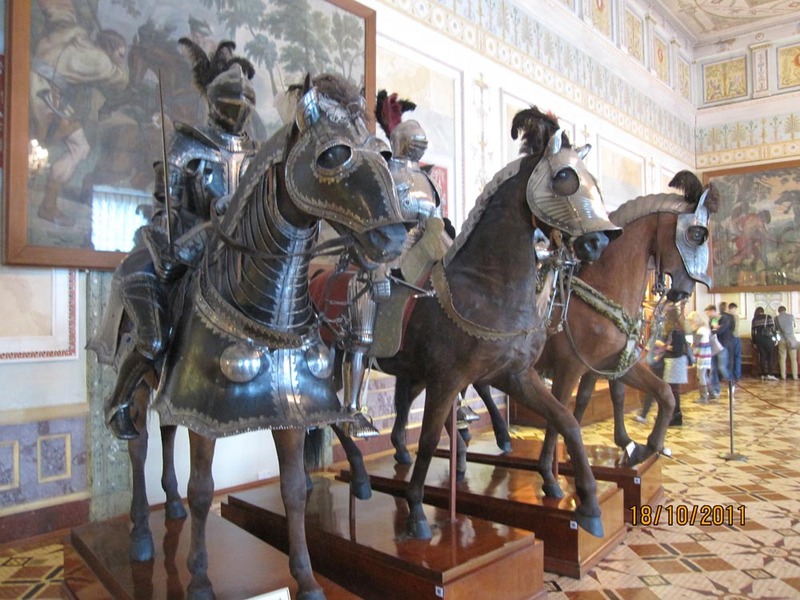 Russian knights in armor on horse back in the Hermitage Art Gallery in St Petersburg Russia. Like I said, the art gallery, is actually a museum. A museum of itself since the building and its history is interesting enough. But there is more than just paintings, there is an excellent collection of armor as the picture shows here. Stuffed horses with Russian knights in armor. Autumn has been a great time to visit, the crowds I’d imagine are here in the middle of summer are gone. 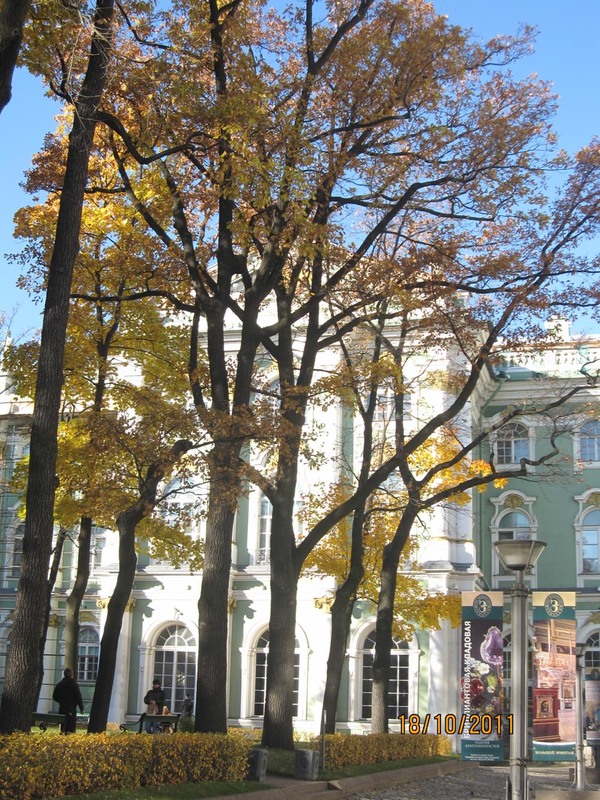 It isn’t too cold 2c – 15c and the magical colours of the Russian autumn are amazing, sometimes the gold is cast off the trees into the rooms of the museums and makes their gold glow even more. Bling Bling Bling. 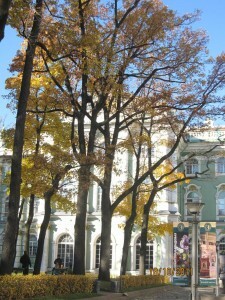 The golden Russian autumn leaves in the courtyard of the Hermitage Winter Palace in St Petersburg Russia. Click on the photo to enlarge. Are Kuala Lumpur Taxi Drivers the Worst in the World? I’m not sure if they are the worst. I don’t mean bad drivers, because from that point of view they are fine. What I mean is they are always trying to scam you. Probably 9 out of 10 had a go. But before I go on I’ll put a bit of perspective on it. In the first place, if they charge what they should, they are very very cheap. Possibly about half to a third of what they are in New Zealand. Maybe they are just trying to earn a decent living. However, I might be wrong in feeling this, but it does leave a bad taste in your mouth, it is tiedious and well it is a business relationship, albeit small, and I don’t like it when someone is trying to scam me. Taking a much longer and slower journey than need be. For instance, our journey to a nearby museum should have cost 12 or maybe 14 ringets, not 22. So you think it is a good idea to pre-negotiate the fare. However, in most cases you’ll pay about 3 times more than if the driver uses a meter, although as above it doesn’t give them an incentive to get you to your desination fast. 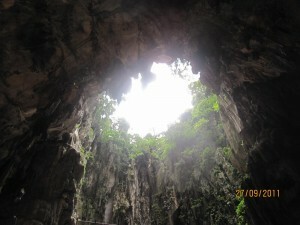 For instance, wanted to go from Batu Caves to FRIM. Should cost 10 – 15 I was thinking, but taxi drivers waiting at the caves wanted 35 and said that was a good deal. I said not thanks and walked away. Then they started chasing me, saying, “what’s you best price”, tedious. Why not just put your meter on, that’s honest. Anyway, walked a bit and went out on the road, flagged a taxi down, got there in 10. Good driver, we were lucky. Forgetting to start the meter. And then trys to negotiate the rate during the journey. Make sure they start the meter. When you come to pay the driver, they suddenly don’t have any change so you need to pay the full note across. I was so angered with that one, I called his bluff. The fare was 21, but I only had a 50 (about $20 NZD note) and he didn’t have change. Oh really I thought, so I said, ok take me back to the hotel, I’ll pay both ways, and I said, I’ll catch another taxi at the correct charge and it will cost me less than the full 50 note. A little imbarrasing turning up to the hotel again, especially since they arranged the taxi with the company… check mate. So he said he’d arrange for the charge to go on my hotel bill. Oh please, isn’t it much more simple to just do it right and honestly. I had 18 in small notes, if I was the taxi driver, I’d have taken the 18 (if I really didn’t have change, yeah right), especially if the fare should have been so much less if an honest quick route was taken. Anyway, that was my last straw with taxi drivers in KL. So now I just walk everywhere. Interesting and more healthy to walk anyway, but a bit sad at the same time. This is the smallest of businesses relationships in this country. I know corruption is horrific here, so I guess it just permeates all through society. As a businessman it makes me think twice about establishing links here. 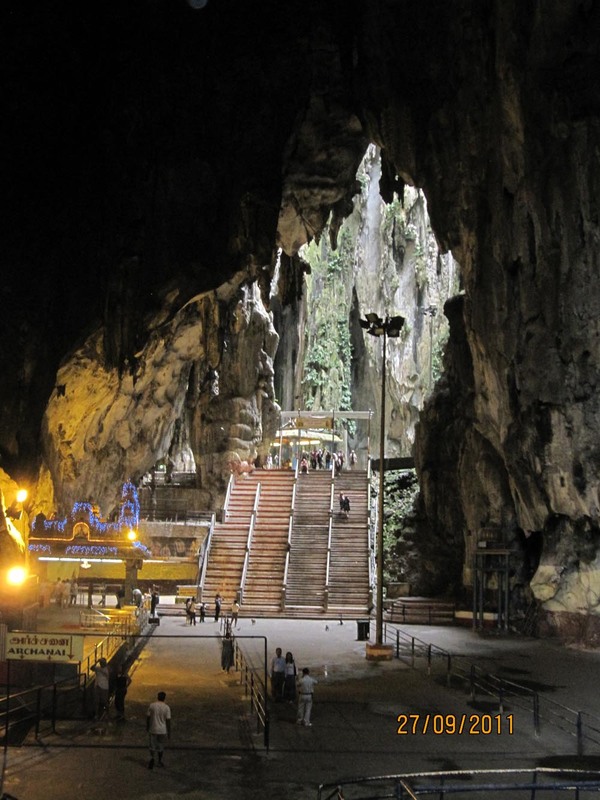 In the northern suburbs of Kuala Lumpur is the Batu Caves. Takes about 30 minutes in a taxi and if the taxi driver doesn’t scam you (see the post about taxi drivers) then it should cost 30-40 Ringet ($14NZD, $11USD). This is a startling limestone hill almost mountain covered in tropical rain forest. Amazing for a major city to have such a geological curiosity. Plus there are the cool little monkeys, more photos down further too. Norman Wood about to climb the steps to the Batu Caves Temple in Kuala Lumpur. Click to enlarge. More than this, it is a major Hindu religious area. 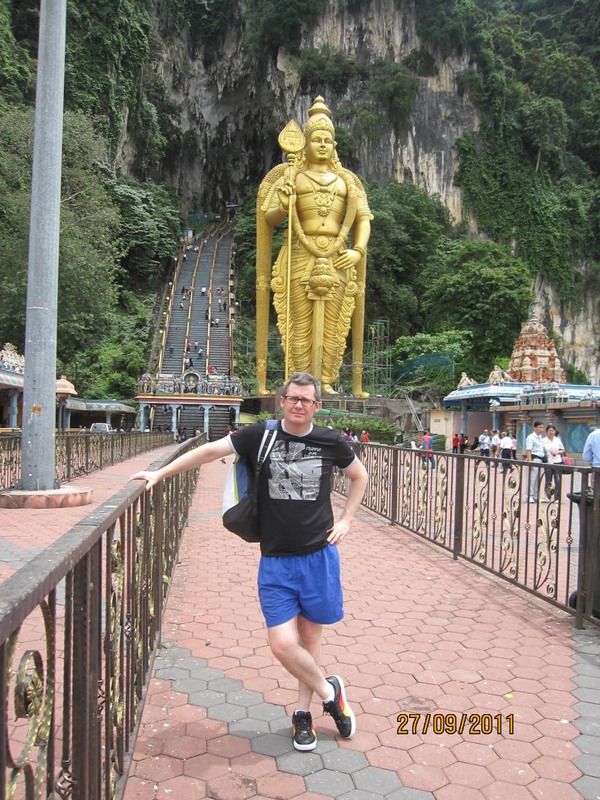 There is a huge Hindu statue of Lord Murugan to whom the temple is dedicated. The main temple is in a huge cave with staligtites and other limestone cave formations, another cave has bats if you are so inclined. To get to the largest cave you must climb maybe 300 steps, yes it is a real haul in the heat and humidity. Inside the Batu Caves with a strange distant light. We walk further into the cave to see where it is coming from. Click to enlarge. You enter the dark cave, but quickly as you walk in there is natural light again, but where from you think. There is a huge chamber and high above there is a natural opening a window up to the sky way above, maybe 100m up with the jungle spilling over the edge. Truly amazing. Once you are well into the cave and you've got to the source of the light. You look up and see the rain forest way above you. Click to enlarge. To make things more “interesting” and keeping up with the best traditions of making a buck, up there with the Catholics and the selling of Virgin Mary statues are all the indian trinket stores selling lots of, well lots of “stuff”. Zina was in like a flash and bought some fridge magnets and some strange Hindu display. 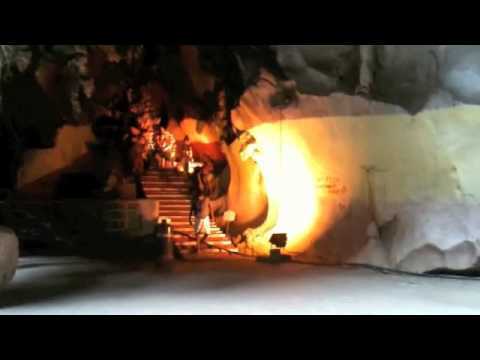 I particularly liked the various Hindu gods with colored strobe lights around them, looked good in the cave too. 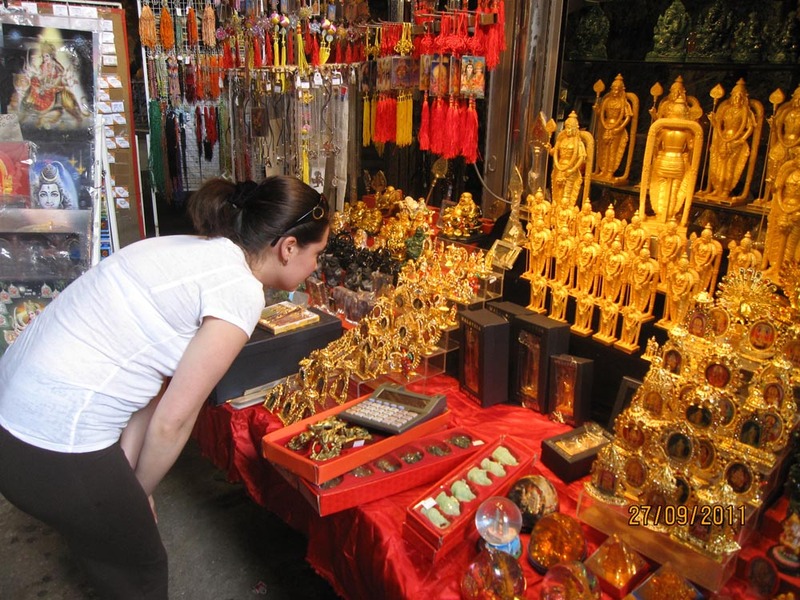 Zina fascinated by Hindu souvenirs in a trinket shop inside the Batu Caves Temple. Click to enlarge. Don’t let my comments put you off. It is one of the best attractions of KL. Plus there are heaps of cool little monkeys that are fun to watch, especially if you are all too familiar with looking at them in zoos. It is much nicer watching the little critters just hanging out and having fun. Plus they love to try and steal things off tourists, especially if they think the bag might contain some fruit juice or tasty food, Zina lost her water bottle. Finally! I got Zina's water bottle. 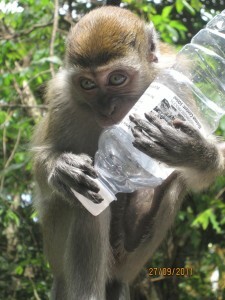 Monkey with the bottle, doesn't take long to get the top off or bite a hole, very tasty. The food stalls at the bottom are also great. We had some stunning freshly made pineapple and apple juice. The apple juice was probably the best apple juice I’d tasted in my life. Almost worth the trip in itself. Mother giving the little baby monkey a grooming. Hunting for fleas. Little monkey looks very chilled out or maybe zonked by playing all day with his buddies in the jungle. They are very happy critters. Click the picture to enlarge. 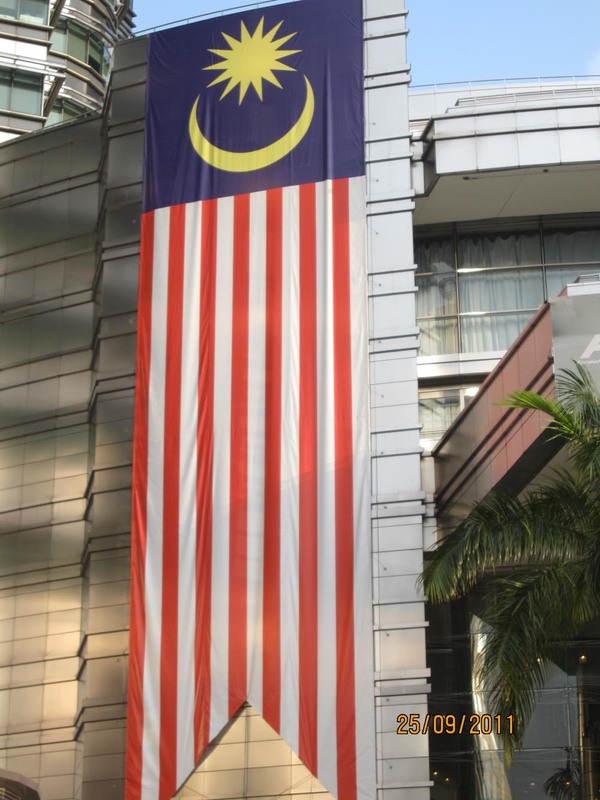 Royale Chulan Hotel Kuala Lumpur – Don’t try to relax you’ll get the boot. We are staying at the Royale Chulan Hotel in Kuala Lumpur Malaysia. A 5 star hotel that is generally very very good. If you can get it for a good price on sites such as booking.com or wotif then stay. However, after walking back form the Islamic Arts Museum (the reason I walked is discussed in my post “The Worst Taxi Drivers”). Anyway, I got lost, so my 20 – 30 minute walk took nearly 2 hours. Didn’t help walking in the completely wrong direction. However, to tell the truth, when you are new to a city it is very interesting just walking around even if hot (32c), sweating (near 100% humidity)… but I digress. So I arrive back to the hotel. In the foyer of my hotel, The Royale Chulan, there is a nice lounge, and as I arrived there was beautiful live music with a singer and piano. I went up to the room to see how Zina was, she was feeling way too hot after the day at the Batu Caves (see post) and doesn’t really like art galleries. She was ok, so I decided to go and listen to the music. A waitress came over and offered me a drinks menu. I had a look, but decided I didn’t want anything and just said I’d like to relax for 5 or 10 minutes. I also was being tight and didn’t want to spend $14NZD (about $10USD or 35 Ringet) for a can of beer. Maybe a glass of wine but that wasn’t on the drinks menu. Anyway, she asked me to leave as I had to have a drink to stay… interesting attitude towards a hotel guest and also interesting in an Islamic country don’t you think? Located in the centre of Kuala Lumpur not far from other attractions such as the Bird Park and the Butterfly Park is the Islamic Arts Museum of Malaysia. I was very keen to visit this as being from New Zealand we aren’t exposed to such artwork. I can’t speak more highly of this museum. It is beautiful architecturally, the canvas that is provided, even if there was no artwork and exhibits is light, uncluttered, with very friendly staff and a beautiful gift shop. Then!!! there is the art. It isn’t fine art in the strict sense, it is more decorated artifacts, pottery, clothing, calligraphy, jewelry, military instruments such as swords, muskets. It is well organized. Broken up in departments. The first is a geographical background focused on the general region: Malaysia, India and China have their own sections. Then a whole section on ancient and interesting calligraphy, religious works and such like. Then into Islamic architecture with beautiful minature models of the most famous mosques from around the world. Upstairs was more dedicated to personal art, clothing, jewelry, armaments. Then an area dedicated to Palestine, however, the museum was closing so I didn’t finish. Hopefully I will get a chance to go back tomorrow and finish. Plus it is worth a couple of goes, not that it takes a day to go around, 3 or 4 hours probably. 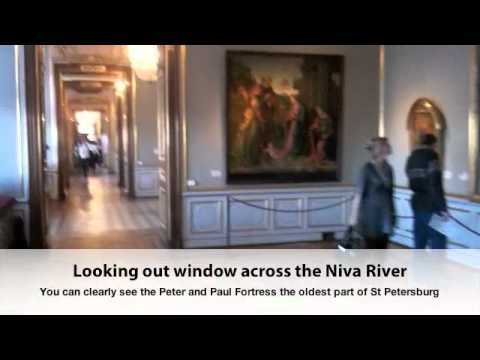 However, high quality museums and art galleries can be overwhelming and difficult to take in from one visit. We arrived yesterday from China. Malaysia is not surprisingly very different from other Asian countries. It is the first country in Asia I’ve visited that is ex-colonial. First it was the Portuguese then the Dutch and finally the British except for a short period of time when it is was under Japanese control during World War 2. The Malaysian flag is everywhere. I've never seen so much nationalism. Maybe it is more pronounced in North Korea. Arriving immediately from China, it appears on a similar level of development, albeit not for long until China pulls ahead. Secondly, western influence is here in a big way, especially in the people on the street, there must be somewhere between 100 and 1000 x (I’m not exaggerating) the number of Westerners on the Street compared to the three Chinese cities we visited including Shanghai, and I once again heard American (as in USA) accents, where I heard none, as in zip, nil in China, plenty of Germans and Russians in China though. Talking about the USA, Malaysia is the only place on Earth that I’ve visited (and I’ve visited many) that nationalism seems more pronounced than the USA. Malaysian flags are everywhere, I mean everywhere. Pictures of the prime minister are on bus shelters, it almost seems, and things do when they are so in your face, they’re insecure about something. Maybe I’ve just got it wrong. When I went to their national museum it was very pro Malay Malaysia, as if the Chinese and Indian and indigenous populations don’t count, and they make up 50%, they certainly didn’t make up 50% of the “feel” of the museum, maybe 1%, maybe none. Even in the discussion of the Federation of Malaysia when they got independence from Great Britain there is little, actually none, discussion of the huge split that occurred between Singapore and Malaysia. Originally the state of Singapore was in the Federation but owing to the racism here, including the killing of hundreds of Chinese people and the burning of their businesses, the people of Singapore felt they couldn’t belong to such a nation. Hence, they went alone, without the enormous natural resources they still managed through hard work to build an economy that now has a per capita standard of living 5 x (yes that is an enormous difference) more than their previous partners they certainly left behind. 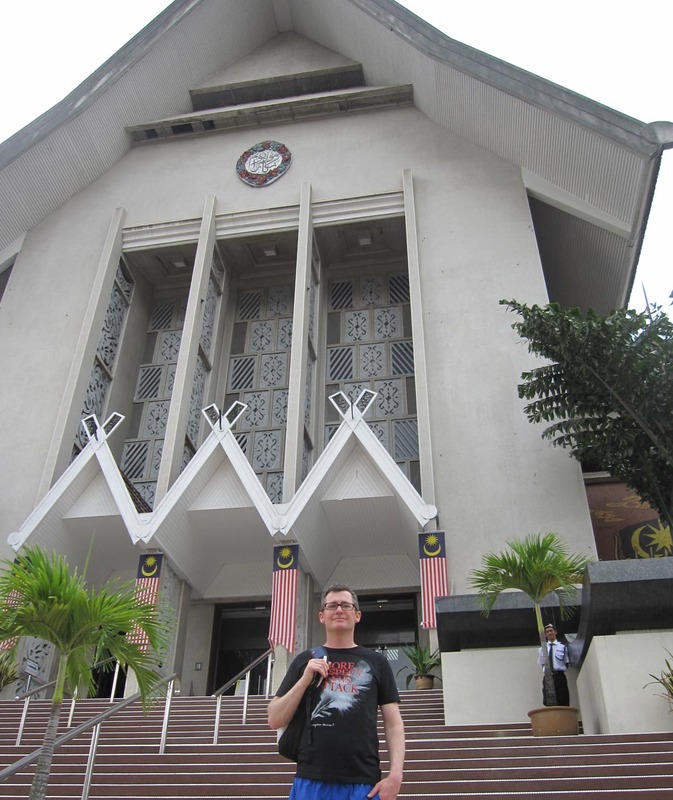 Norman Wood standing in front of the National Museum in Kuala Lumpur Malaysia. Other things you notice: all the police (I’m looking hard now) and government officials (immigration) I’ve come across seem to be Malay. This can’t be a good thing. I’m not saying that Malay people are bad, it is just not a good idea if you are trying to build a truly harmonious society (they talk about this all they time) that you should have institutionalized racism. Maybe this is the insecurity I’m picking up on and hence the “in the face” Malay nationalism. I always wondered why I came across so many ex Malaysian Chinese in New Zealand, in a similar way you come across ex Fijian Indians. New Zealand’s gain their loss I say. On a positive note. The National Museum of Malaysia is a beautiful building and the exhibits are very well done, very. Puts Te Papa to shame, although we New Zealanders can still be very proud of the War Memorial Museum (like our true National Museum of New Zealand) in Auckland. Anyway, there was a fantastic display of airplane models in the foyer. Inside the displays go from the Neolithic period up to modern day, albeit lacking much of the non Malay component, but then again, it does have a lot of history about the various colonialists, such as the Portuguese, the Dutch and British. I just wonder why there is nothing of the Chinese and Indian cultures, has me really thinking. And of course one can’t forget the wonderful Proton Saga display. 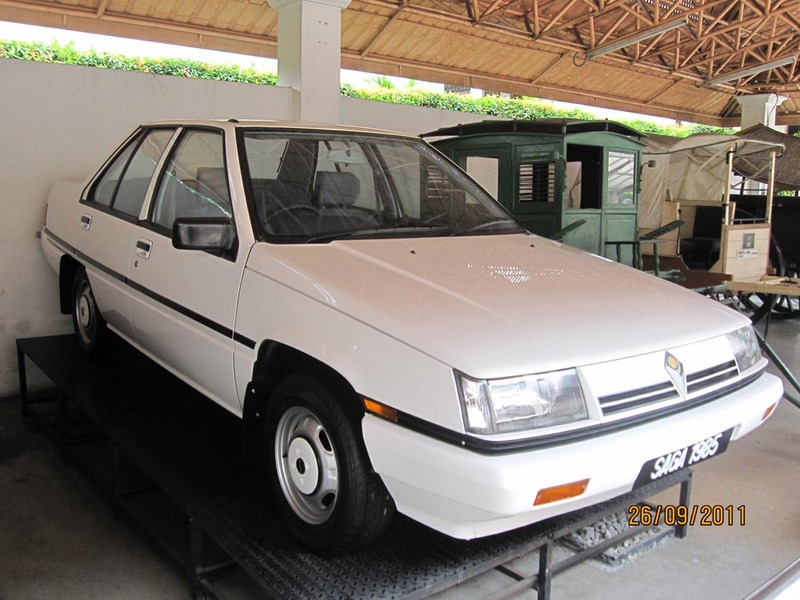 The Proton Saga, the car made in Malaysia. Looks suspiciously like a Mitsubishi Mirage from the 1980s. Talking about the USA, Malaysia is the only place on Earth that I’ve visited (and I’ve visited many) that nationalism seems more pronounced than the USA. Malaysian flags are everywhere, I mean everywhere. Pictures of the prime minister are on bus shelters, it almost seems, and things do when they are so in your face, they’re insecure about something. Maybe I’ve just got it wrong. When I went to their national museum it was very pro Malay Malaysia, as if the Chinese and Indian and indigenous populations don’t count, and they make up 50%, they certainly didn’t make up 50% of the “feel” of the museum, maybe 1%, maybe none. Even in the discussion of the Federation of Malaysia when they got independence from Great Britain there is little, actually none, discussion of the huge split that occurred between Singapore and Malaysia. Originally the state of Singapore was in the Federation but owing to the racism here, including the killing of hundreds of Chinese people and the burning of their businesses, did the people of Singapore feel they couldn’t belong to such a nation. Hence, they went alone, without the enormous natural resources they still managed through hard work to build an economy that now has a per capita standard of living 5 x (yes that is an enormous difference) than their previous partners they certainly left behind.